The Prorex tandem Spinnerbait with 21g is the right choice for targeting pikes as well as for fishing for large perches and asps. The special head shape ensures an extremely stable action at all speeds. Both blades rotate during the sinking phase and provoke many bites especially at these moments. 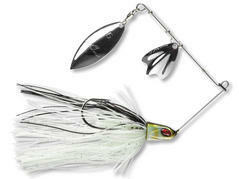 This small spinnerbait with Willow blade is the proper choice for fishing for perch as well as for targeting pikes. 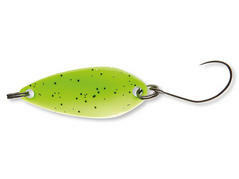 Especially in shallow areas with weedy ground these lures fully come into play, since they produce drastically fewer losses than other lures. The elongated Willow shape is perfectly suited for faster retrieving. These micro spinnerbaits are perfectly suited for fishing for perch – the special Prorex head shape ensures an extremely stable action at all speeds. Thus, the lure can be presented from ultra-slow to very fast. The Colorado spinner blade cares for extremely strong blast waves while the thin premium hook is equipped with a hookkeeper at the shank for rigging additional teasers like small shads, or twisters – perfect for large perches. The ADM ultra-light spoons are also available with somewhat higher weight of 3.8g for ultra-light and trout area fishing. 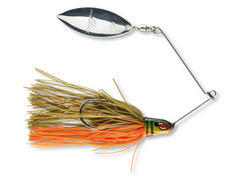 Due to the higher weight this mini spoon can be fished somewhat deeper and is also applicable for moderate currents. Very lightweight and delicate premium spoon. Perfect for light fishing at trout ponds or small rivers. 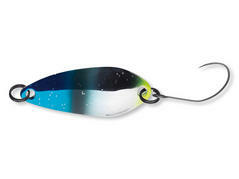 Beyond that, this spoon is also well-suited for fishing for ide, chub and perch. The special body shape provides this spoon with a strong dwindling action. Small and compact mini spoon with 53mm length. 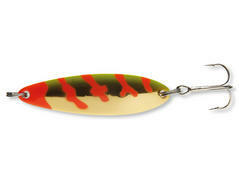 Thanks to its compact shape, this lure can be cast very long. The bent shape leads to strong dwindling and promotes the generation of strong blast waves. Thanks to the wide color range, you will find the fitting model for all kinds of water. Perfectly suited for fishing in strong currents.